I have been reading all of your Q3 Finish-A-Long finishes posts - and will continue to read till I have read every one. I recommend perusing these links for all the inspiring finishes and lovely stories about the projects. And, thank you to all of you, for all the compliments and nice things you have said about my cheerleading, encouraging and cajoling in the FAL. It truly is fun to be your "fearless leader". 1. Pickle Dish - I think this has been on all my 2013 lists. I have only about 24 dish units to make of the 200 required, I have 7 of the 25 blocks of 8 dish units sewn, then there is quilting and such but I really, really want this done as it would be nice to gift it at Christmas. 2. Asterix and other symbols quilt - I have all the blocks back from the talented quilters in Always Bee Learning, and worse, it is my month again in November. It is time to make these blocks into a quilt, I mean, look at how cool they are. 3. While we are on bee blocks, look at those beautiful improv sampler blocks from my friends in the Free Bee. I know how I want to piece these and quilt them, this is quick project and will be such an excellent quilt. 4. This block is called Stonehenge from the 99 Modern Blocks book and was made for me in the now finished Modern Blocks Bee. I might add some warmer coloured blocks too, I have more fabrics. But they are quick and easy, so surely I can finish this one too. 5. Cycles 2 - This feels like cheating. All it needs is the binding, but I don't want it to get set aside, so it is on the list. 6. The No quilt is a project near to my heart, and has sat mostly stalled. I have some lovely embroidered contributions and I need to get more blocks done. This quilt is for my office, to remind me to say No more often - just because I can do something does not mean I have time or should do it. 7. Emerald Irish Chain - Truly should be done already. Enough said. 8. Placemats - The awful brown table cloth is making me crazy, I need to get these done. 9. Giant Nordika Plus and pattern - I love the giant pluses, it will be easy to finish this one. 10. Mystery quilt - This is the most beautiful quilt top I have made - Sheila's pattern and teaching have a lot to do with that. I have been too scared to quilt it, but I think I will be ready this quarter. 11. Loads of flying geese - I love making these now that I have ruler assistance to keep them nice. I see these as a fill in piecing project, when I just want to sew something fast. And I love all the flying geese quilts I keep seeing, so maybe I can have one this quarter. 12. Cria, a sweater for me - I am excited to be knitting a sweater again, and this yarn is soft and lovely. This project should fit nicely around all the rest, and I keep it in my bag for all the lines, time spent waiting for kids and such. You know there are more bee blocks in my drawer, and some other quilt tops too. But I am stopping at 12, after only finishing 2 things this quarter, my chances are slim. But I am hopeful none the less. Now the news. The FAL will continue for all of us in 2014. 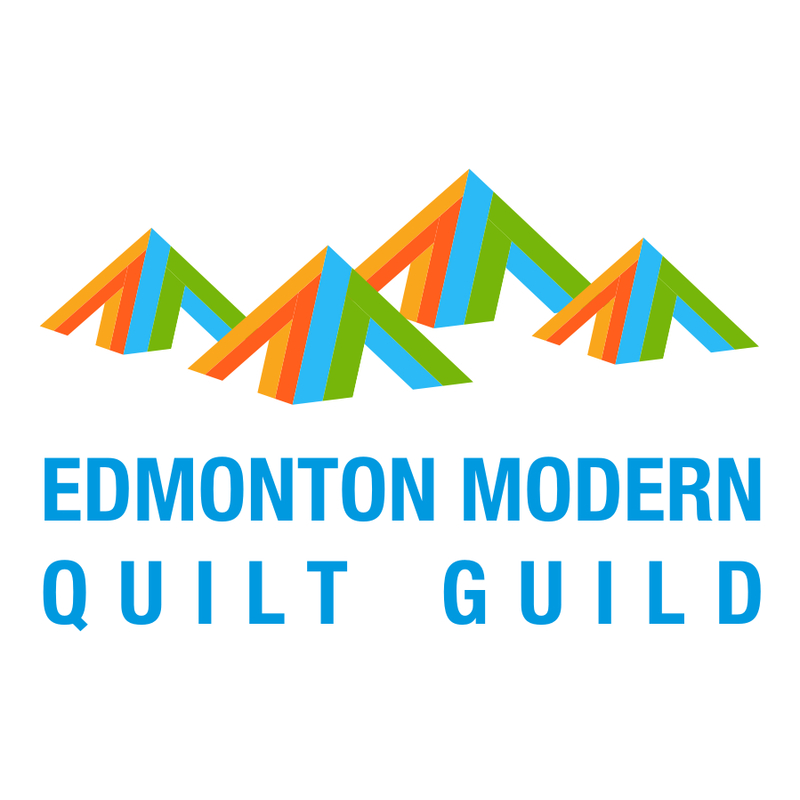 As you will recall, Rhonda from Quilter in the Gap is the mastermind of the FAL, having started it in 2012 She decreed that it would move each year to another blog. So the FAL moved from Tennessee, U.S.A to Alberta, Canada and next year I am ever so pleased to announce that the FAL is off to Scotland! Yes, my real life and internet friend, Katy from The Littlest Thistle is going to be our host for 2014. That's her in the middle, at Sewing Summit the year before this most recent one. I love this photo and stole it from her blog (hopefully she will be ok with that). If you don't know Katy well yet, check out her blog - she is talented, funny and smart (she just explained a lot of math to all of us in a way anyone can understand in her tutorial this week). I know that we will all have the best time finishing along next year under her leadership. Enough, get your Q4 lists done and link them here. If you need to check the FAL rules they are here. 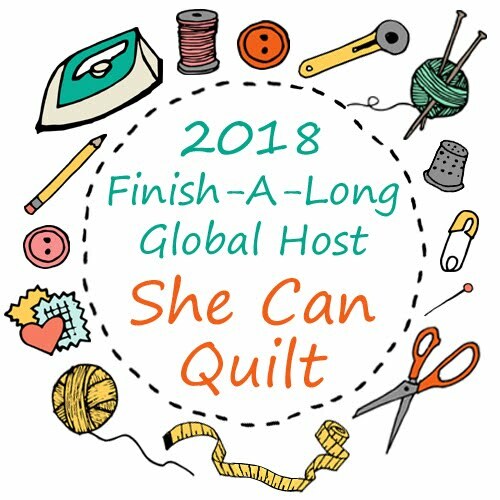 If you have questions, let me know in the comments or by email to shecanquilt [at] gmail [dot] com. I will let you know our fantastic Q4 sponsors in a few days, I can assure you that you will want plenty of entries in the Q4 draws, so do go large with those lists - lets make Q4 the quarter with the largest number of finishes in FAL history. Wow, that’s quite some list Leanne! I feel a littlbe bit less embarrased that I have so many projects on the go as well! I’ve been thinking about what to do with my Free Bee blocks, as I’m still waiting for one to arrive. It’s not likely it will ever show up though. Would love to see the improv blocks made into a quilt!! Like all the other projects. Good luck and thanks again! 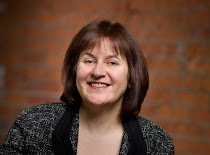 Will visit Katy’s blog, as I admire anyone who wants to host such a time consuming event! I love the way you shamelessly declare twelve projects as crazy! Yes, you are optimistic and I eagerly await your success or otherwise! I am more conservative (or scared), just putting three or four on my FAL list! Phew what a list of lovelies! I think it will really help you get on with these to have already listed them and set out clearly the path ahead. Look forward to watching your finishes appear on you upcoming posts! I love you all your projects but especially your Free Bee blocks, so cool! Well, go big, or go home, right? I went huge! I know I won't get it all done, but since I don't know exactly what I will get done, I put it all on there. And who knows? 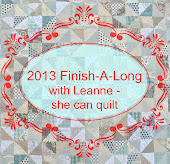 I might have a marathon quilting session strike! Good luck on your dozen! Wow- you are so prolific with all of these projects! I am loving the AB star project especially. I hope to participate in the FAL next year - found out about it too late this year. So excited to have a new quarter. I had forgotten you were in Alberta. I'm next door in B.C, Enjoy all your WIP's They are gorgeous. Next year Scotland! I went really big on my list too... glad I'm not the only one! Your projects are so gorgeous - good luck for lots of finishes. I'm taking your lead and going big for the goals this quarter. Great job, Fearless Leader! oh your list is something else as usual, but so inspiring as well! LOVE those placemat, cycled, your symbols and those improv blocks! Though I get why the pickle dish is high priority! Once you get that out of the way, it's smooth sailing! And yay about Katy - how fun will that be?! Wowza! You have some amazing bee blocks there! I can't wait to see some of them assembled. Major eye candy. Also, YAY for Katy! She is also awesome. That is an impressive list, I wish you lots of speedy sewing in Q4 to whip through those projects! That is a exciting list, Leanne. So many beautiful finishes to look forward to! Happy stitching. Yay, the fun will definitely continue with the baton being passed to Katy for 2014! Oh your list is great and I love seeing older projects I forgot about and ones I contributed to as well! Can't wait to see what you do with them all! wow, every single one of those projects is wonderful - hope you get them ALL done to enjoy them!!! All your projects look so great, but the Cycles 2 is really blowing me away, and I love those placemats. 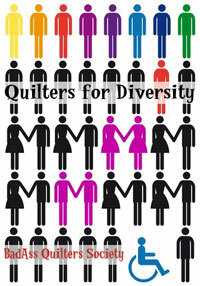 I am definitely going to be doing some matchstick quilting in the near future! Those Free Bee blocks are awesome, I can't wait to see what happens with them. Yay! Katy is the perfect person to take over from you Leanne, and awesome finishes too! Your mystery quilt looks beautiful - can't wait to see it finished. My sewing has come to a grinding halt due to a broken machine. Maybe 2014 will be my FAL year. Yeah for going big!! Gorgeous projects and although I may have giggled at your immense list I'm sure you'll be able to knock a few of those off before next year :) I'm super excited to see the pickle dish one complete! Sooo many gorgeous projects there Leanne. And I always make a big list, so 12 seems like a completely reasonable number to me. Good luck with getting lots done! Thank you for running the FAL! I love your pickle dish - the colors remind me of chocolate mint ice cream. Also, the "No Quilt" is great. Love those personal boundaries! And your placemats are gorgeous. What is that lovely thread? Good luck with the projects! Lots of beauties there, good luck! Some great inspiration you have there Rhonda! That is quite a list!!!! I cannot wait to see the asterisk and symbols blocks together! It will be a stunning quilt! Looking forward to a truly world-wide FAL with its migration overseas. (That's a great picture.) I've had a good time this week popping onto people's links and seeing their projects. I only realized tonight that I hadn't commented on your set of goals--not like they need any comment, or anything. Looking forward to seeing Pickle Dish in its glory and completion, and the others are intriguing, as well. It's been a great tenure, this FAL, under your guidance. Thanks for all you do. What a selection of beauties, I especially look forward to seeing the Mystery completed, it is so beautiful. Better watch my Ps & Qs with Katy, she is pretty close! I love the colors of your pickledish quilt! It's going to look amazing! Phew, just made it! Had blog issues all morning, and finally got there with 51 minutes to spare!